Cleanse and moisturise your skin with this luxurious, gentle body wash full of botanical cleansers and deeply nourishing Coconut Oil and Shea Butter. Jason's unrefined, virgin coconut oil contains Vitamin E and antioxidant polyphenols to make skin feel smooth all over. Apply to damp skin in the bath or shower. Gently massage into a fine, creamy lather. The Jason Smoothing Coconut Body Wash - 900ml product ethics are indicated below. To learn more about these product ethics and to see related products, follow the links below. I use daily when showering. Lovely soft product , feels gentle on the skin, non drying. 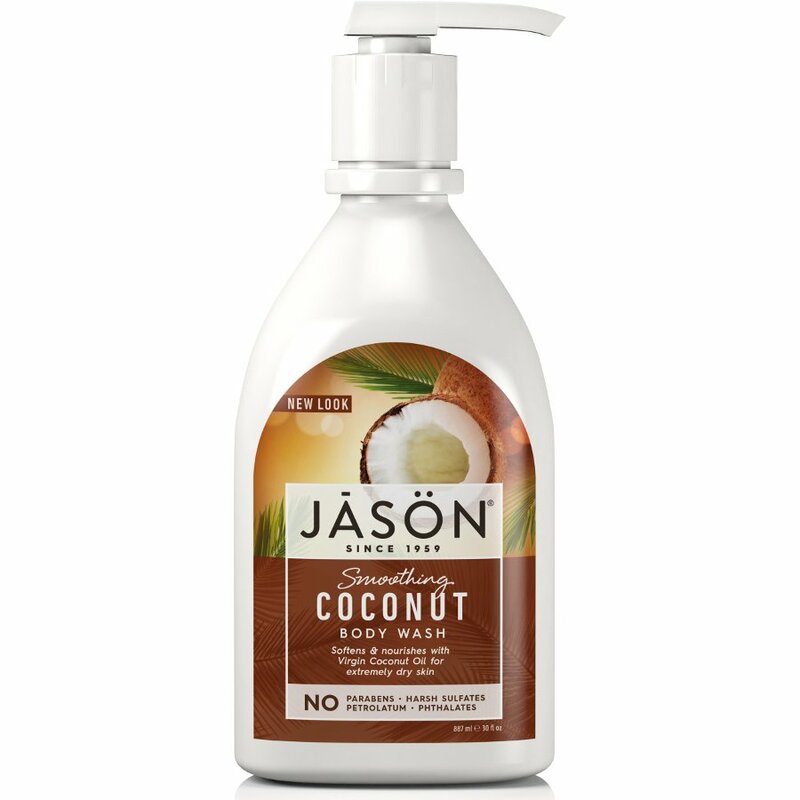 There are currently no questions to display about Jason Smoothing Coconut Body Wash - 900ml.